Jord Wood Watch is the Perfectly Unique Elegant Gift! 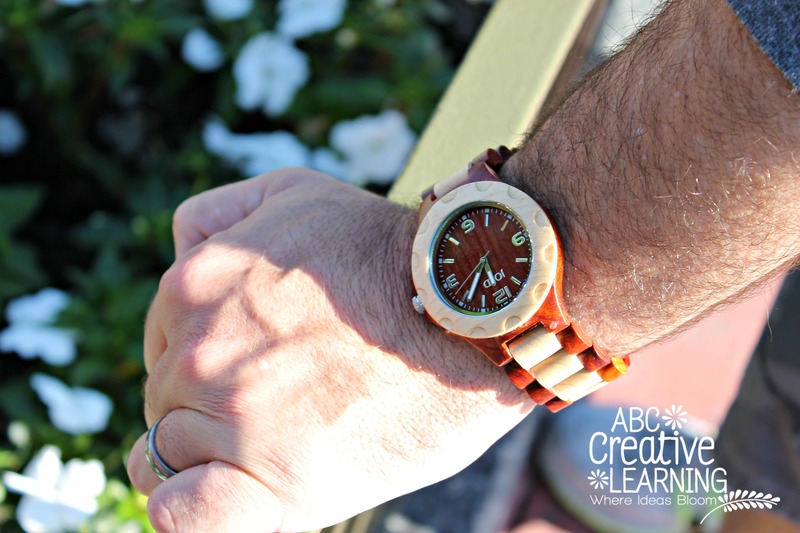 Here’s a picture of the same Sully watch but in the Cherry and Maple wood colors. Beautiful, isn’t it? Make sure to visit Jord Watches online, Facebook, and Twitter @woodwatches_com to keep up with the latest news! Plus, if you order on or before December 21st your order will be delivered before December 25th! That’s awesome! Follow My Holiday Gift Guide Pinterest Board for 2014! Follow ABC Creative Learning’s board Holiday Gift Guide 2014 on Pinterest. If you won the Jord Watch Giveaway, would you keep it or gift it? I would love to give the Delmar watch in blue or white to my dad. I’d either get the Fieldcrest in maple for me, or the same one but in black for my husband. Oh I love that one too! Goodluck!